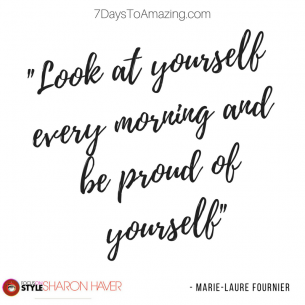 Have an inside look into the world of beauty, PR and Parisian style with Marie-Laure Fournier. 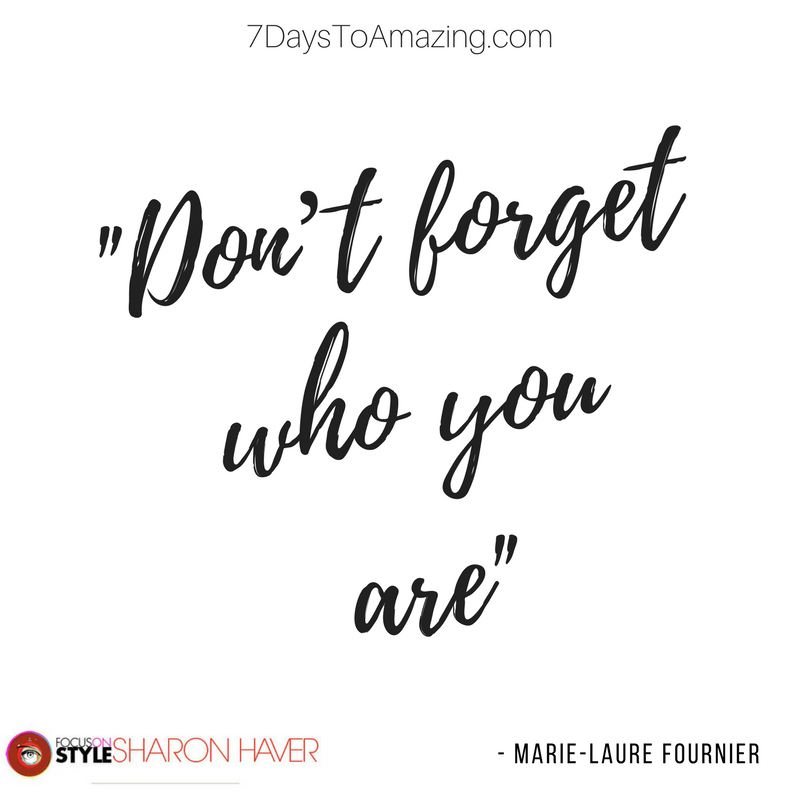 From dancing on the tables at chic clubs, to sleeping in the corner of her employer’s PR office, Marie-Laure arrived in New York City with the French zest for fun and turned her pleasure from “it girl” to “it agency” as founder of her boutique pr company, Fournier Communications. 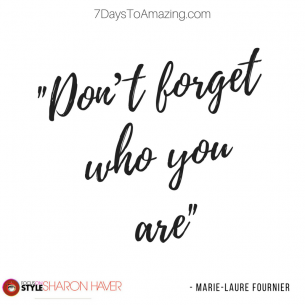 Marie-Laure understands the importance of relationship and just the right touch when it comes to both business and beauty. This European outlook to beauty, branding, and business is not always easy, especially because we have to adjust our cultural mentality. 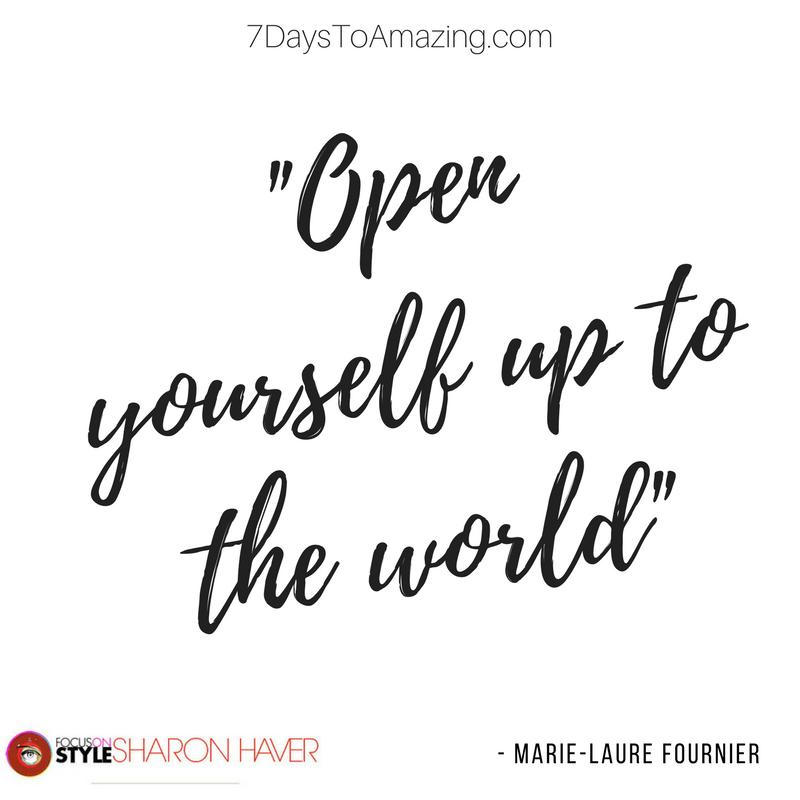 To help us bridge the gap between European glamour and American business savvy, I have Beauty PR icon and Entrepreneur Marie-Laure Fournier on this week’s episode of the 7 Days to Amazing Podcast with Sharon Haver. 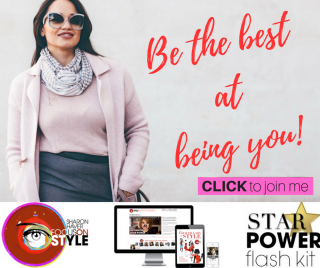 Find out what it takes to really run a successful personality driven business that you’re passionate about with some “better than natural” French chic beauty tips as well. 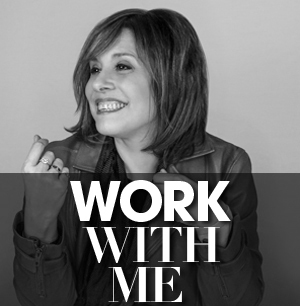 As a women in business it is important to dedicate yourself to companies that had the same modus operandi that you have. Having passion for the product and giving the best of what you want to give to your client will help you look at yourself in the mirror and be proud of yourself. Passion makes you be the best at being you! Being passionate in what you do just keeps you going, once you lose that passion, you could lose everything, you could lose hope. 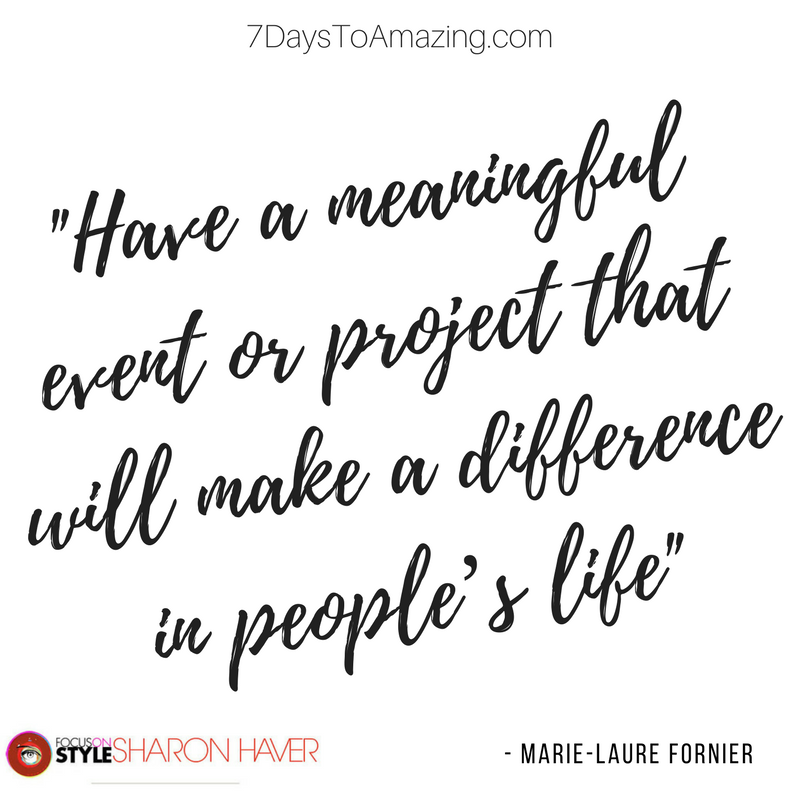 Have a meaningful event, or meaningful project, that will make a difference in people’s life. You need to have an escape in your mind, even if you can’t escape physically, you need to escape. 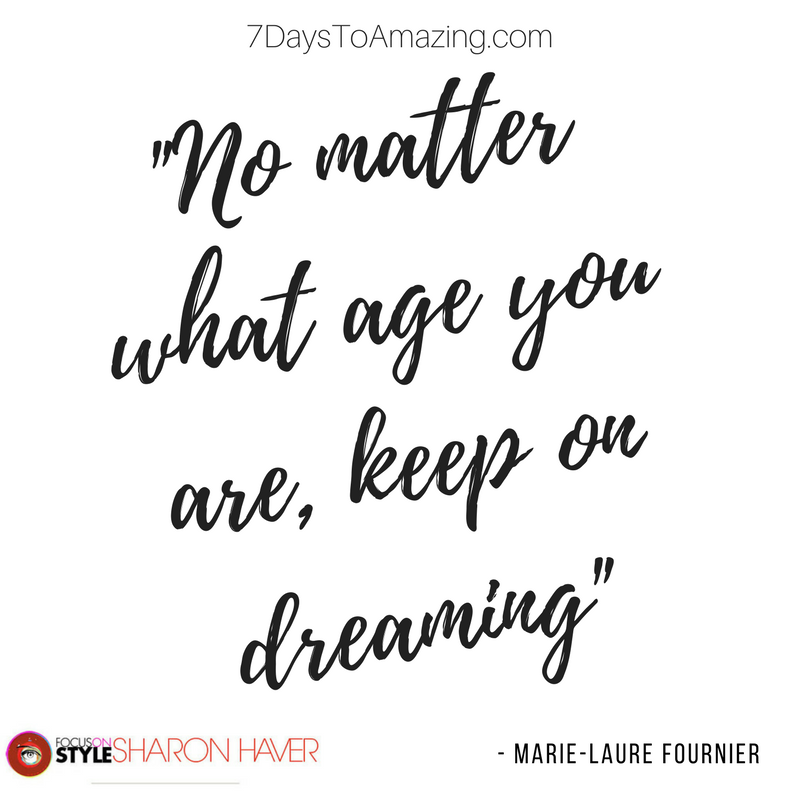 Keep on dreaming, it doesn’t matter what age you are, keep on dreaming! Change your fragrance- A scent is so linked to memory, linked to sensation, that if you change your fragrance you will think that you are opening a new chapter in your life and that has an endless possibility. 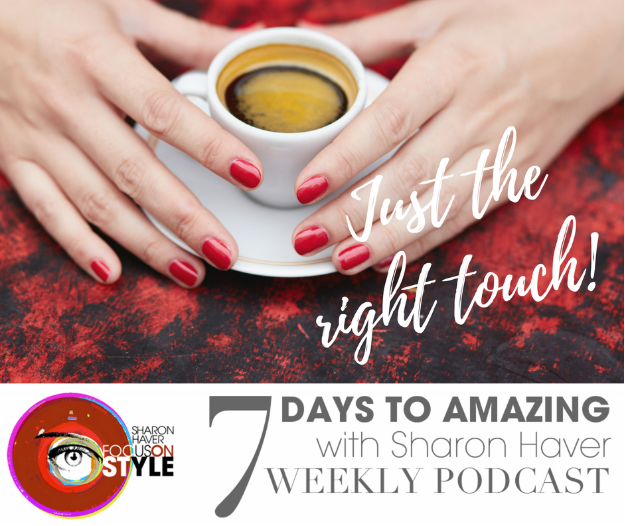 I share secrets of how to get that right touch of beauty and business, as well as personality! 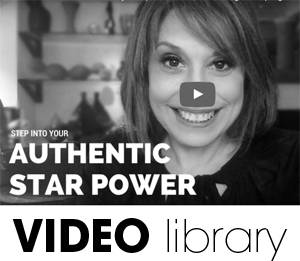 In this fun and cultural episode, you discover how to make your life, business, and style even more amazing. 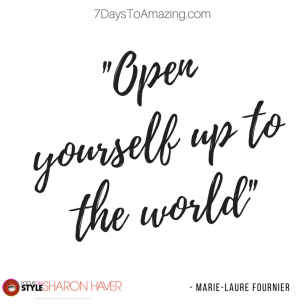 My friend Marie-Laure Fournier is thrilled to share her insights about working with some of the most influential beauty brands, and the beauty and luxury industry as a whole. Learn a new approach for your business by recognizing the different cultural mentalities of women entrepreneurs in France and America. 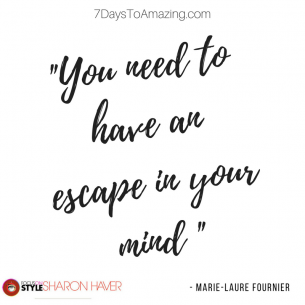 Marie-Laurie is an entrepreneur, stylist, publicist, and consultant… and is a very fun person to be around! VISIT Fournier Communications and follow on FournierPR on Instagram. Welcome Marie-Laure How are you? I am delighted to have you here today. Bonjour…Bonjour, I am so happy that we can talk today, it’s a dream being with you and having a talk with you, are you kidding or what. 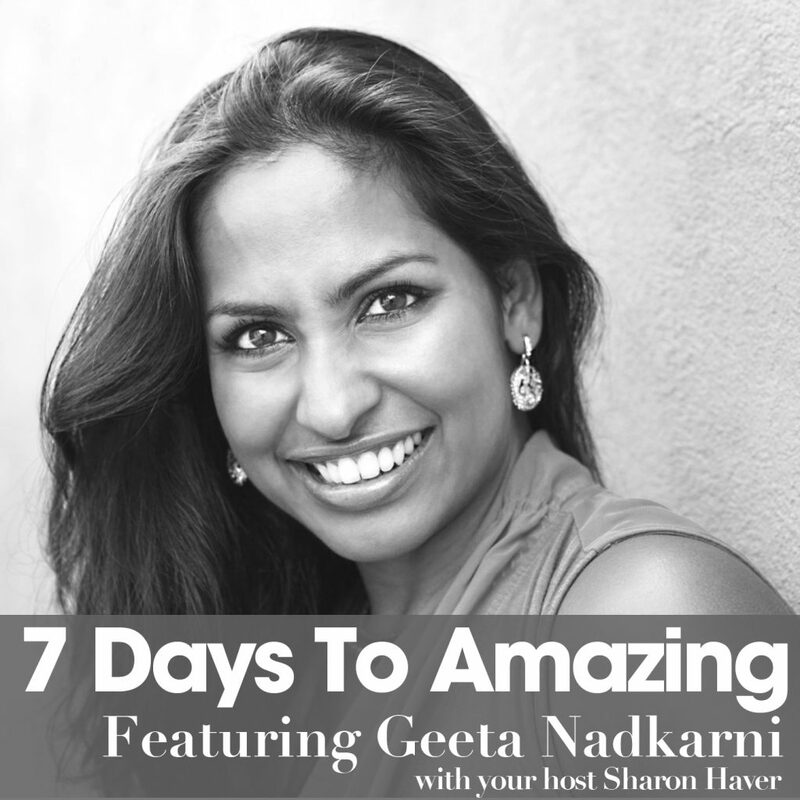 Especially as you are always on the other side of the fence, you are always arranging interviews and talks for your clients, so I thought it would be great to… in a not very chic way in saying under the hood, for people to understand what it takes to really run a successful personality driven business and how you came also here as an immigrant and started it, even though most people don’t think of having an oh la la kind off accent as being an immigrant, but you are, and also how the different outlooks and ways of European outlook to beauty and branding and presenting yourself than American which makes it all look so effortless, as we all know there is effort involved. I think, there is effort in everything but I think the behavior and the way that the French approach anything that they do in life is with passion and I honestly think this will be the biggest difference between French and American business driven personality is that the French will have more passion than an American. An American will obviously love their project but the French will put… it’s in our culture, our mentality, when we are… have a dream, we love something, we go for it 150km/h. Not miles, I think its interesting, I think that natural chic that we just have is only because we are so in love with what we do, or so in love with the project, or so in love with a man. Or yourself, which they now call self-love, basically it is a love of yourself. Kind of the same, even woman that I know in Paris, I am not saying France, but Paris, the jeans, the white shirt, the blazer and the vibe of the woman. 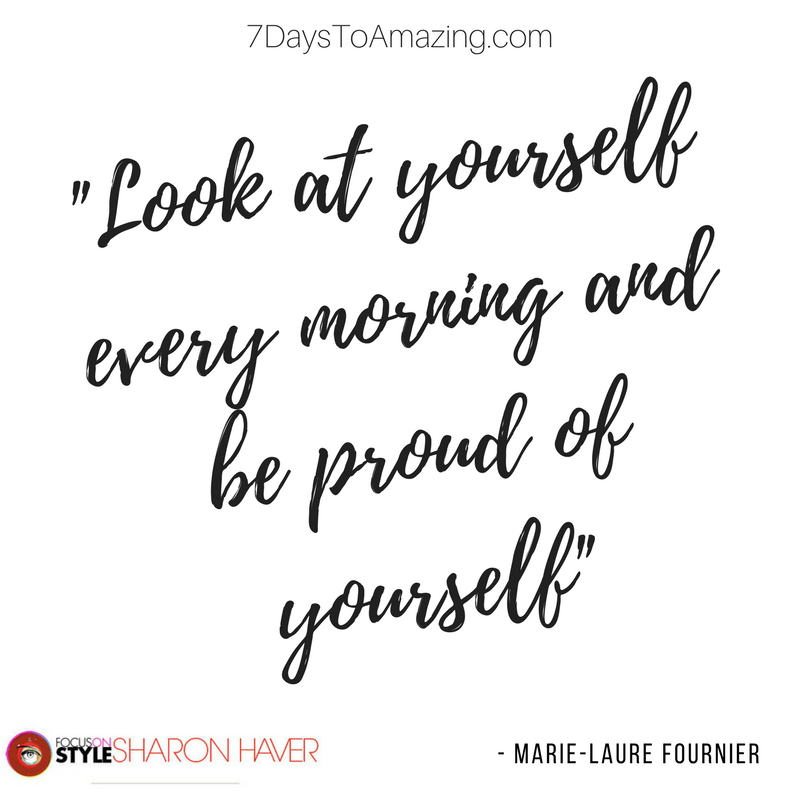 I think it’s that self-confidence that gives you for being at well with yourself, well in your head, well in your head and happy, it’s that Je ne sais quoi chic effortless, its called self-confidence, you are absolutely right on that. What I think is so interesting too, when you see so many people trying to be this wannabe French look, but they don’t realize … it is funny because French women, I mean they are not fashion-istas by no means, they are very and they are not classic and stuffy, but they loom stylish and chic because they have that little extra accent that makes it so personal and so special. I also think you know… we grew up in a way, people who come to the states in a generation, or maybe with a new generation, it’s that we grew up in a way that we wait to prevent, so we grow up at 14 years old starting with a moisturizer and it’s all about skin care or hair care, less than makeup, when you put on too much makeup you are labeled in France very easily. It’s really interesting as I was thinking about that not too long ago and I was thinking of how in America, lately the new trend is to have dewy skin, in France you wouldn’t be seen with dewy skin as we would rather have a sunny mat finished skin, because it looks like its taken care of, clean. The dewy skin maybe the big look at the moment but it has for me uncleanness it is not clean, and for us we have to have it clean, the natural way of chicness in a way starts with taking care of yourself and in that case you have to have clean skin. It is a double standard it is not effortless, you are right on that. No…no…no, its not and actually, I started wearing… I am all about preventive too, I started using wrinkle cream probably 14-16, probably 16 I was using wrinkle and 14-15 I was using moisturizer and it was the same thing, I was growing up. I was raised, I wanted to look hot at 40, especially past that, but my goal was … anyone can look good at 20, I wanted to look at hot at 40, so I started suing treatment creams at an early age, I am really lazy, I am so lazy about putting on moisturizers and creams but I do it every day, and I don’t make a big deal of it, it’s part of my regime, it’s natural to me. Luckily my skin has held up because of it, but I see that with so many American women, they just forget that step, okay I am 45, okay I am 50, I am 55, and I never really took care of myself before so what can I do possibly do now. So they start slapping on the makeup, they end up putting on all this heavy trendy makeup over this dried out wrinkled untaken care of skin, or they just fail to get it all together and they look so undone. And aging, if you put too much makeup on it actually ages you, it’s interesting to see, and I have just realized lately because I am a big red lipstick follower, of course… I am French, I am realizing that now that I am 47 years old not every red is equal at my age, so it is really interesting as some reds are aging me more instead of giving me that natural red lip, natural for me, that Parisian chic red lips. It is really interesting with age… I would say definitely use less makeup but choose your color very wisely, it’s very interesting. It is also that coral color that they love, that gloopy coral. How not to look like an American tourist, it is not necessarily those shorts and those ugly white sneakers that you wore in the gym in 1992, it’s that coral creamy lip stick. And it was put on by a pro, so you don’t really see the makeup in the picture so when you look at someone and they are having their makeup done, I know a lot of people when they started to do their headshots or they started to do something for their business, they use a bridal makeup artist and it’s very heavy, oh my god. Makeup is supposed to stay on all day kind of look, and it looks very fake, I guess they look at a makeup ad, and they look pretty heavy in the ad, so I am going to look pretty heavy in my picture and I think it looks good. Your clients don’t do that, they still have that lighter aesthetic of looking natural, so when you go and pick out your clients, I am sure there is a love-hate, there is a blending, there is a chemistry, a sort of serendipitous connection between someone representing you in your business and your brand and the clients that you attract and the clients that are attracted to you, so how does that. I think I have been very careful all of my business life and I started this company in 1997, it’s a one off. I started my website in 1998-1999, yeah. But I have been always… there has been a lot of influences in my life but one of them is my dad, who said to me “You have to look at yourself every morning and be proud of yourself’, when I was younger I did an internship in a big company, not to name it, it’s a big American company. I hated that corporation mentality, I hated it, everybody had to breath the name of that company, had to be the name of that company, I hated it, I am too much French and I needed my freedom and my individuality, so when I started my company I wanted to dedicate myself to companies that had the same modus operandi that I have, which is having passion for a product and giving the best of what you want to give to the consumer, look at yourself in the mirror and be proud of yourself. I think very early on I decided to have a small company, not to become a big company, I had one of my clients ten years ago who got sold to a big beauty company, which is American, it could have been a French one, that doesn’t matter, they wanted me to come with them because of the connection and the relationship that I have in this industry and I was like, I was open to it at the beginning, then I realized that No, they are doing things with reports and by the book, you have to be, if you bring someone on a press trip you have to be guaranteed two pages, it doesn’t work like that you can’t twist an arm of someone. I walked away, it was a big surprise in the industry, maybe today I would be bigger and richer and have my house in The Hamptons but I also know that I wouldn’t be happy with myself, so that’s why the clients that I have through the years are always entrepreneur who are passionate about what they are doing or they are opening a gap between a demand or even cultures, that’s what interests me, I need to be interested in what I am doing, being small allows me to say no to clients, and I do say no to clients, or future clients. Hey excuse me, let me jump in for a second, we are sharing a lot of amazing things today, but you know there is more. 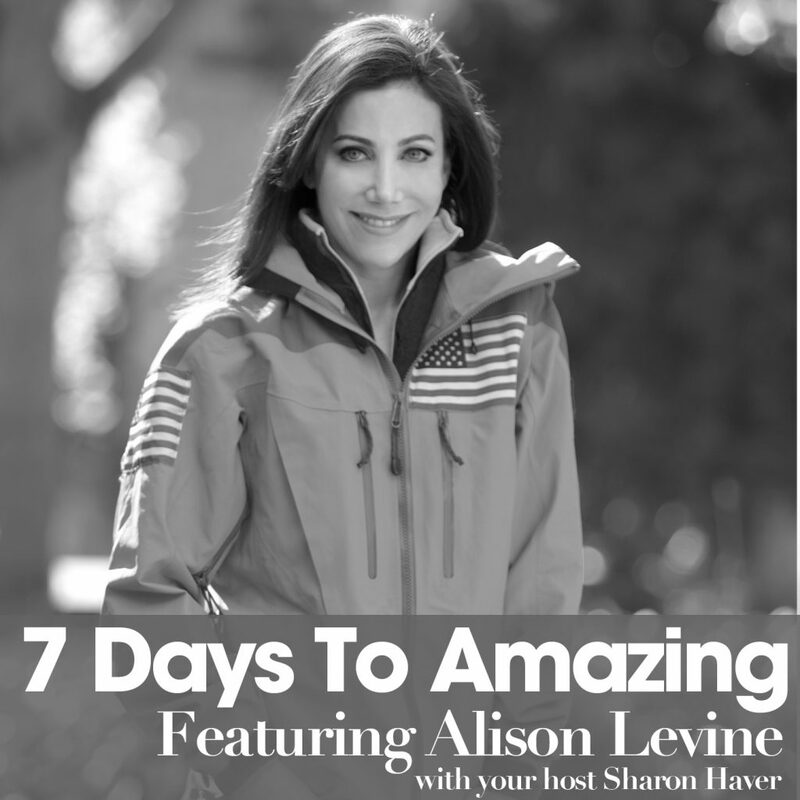 If you have a friend that you think will also enjoy this episode, don’t forget to share it now; do you like to listen on the go? 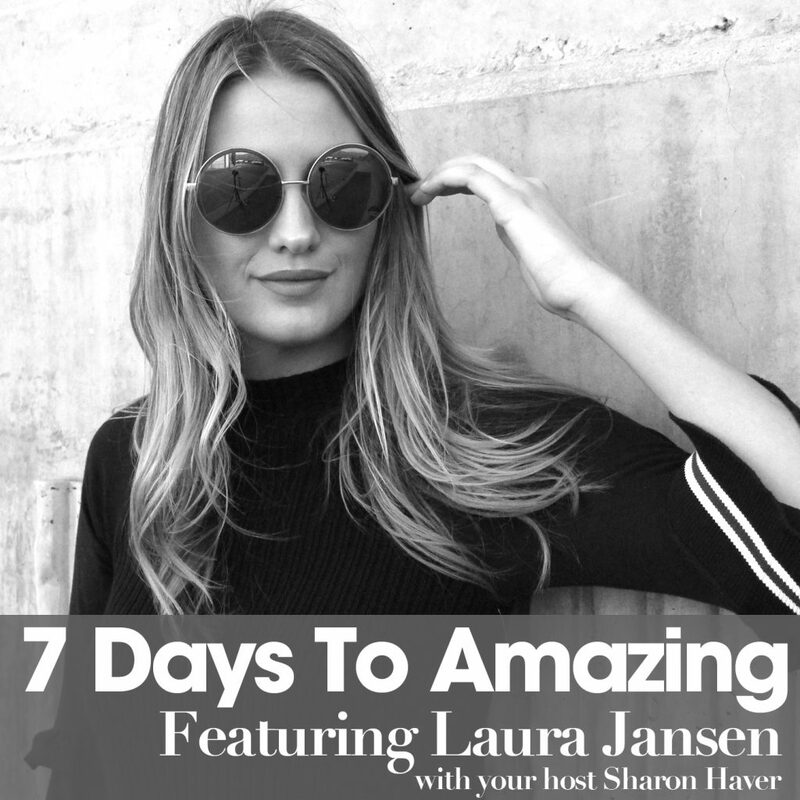 Simply download this episode in ITunes while you are there subscribe and write a review so we can continue to bring you the most amazing content possible, to help you be the best at being you in your life, business and style. I know and this is something interesting, we were talking briefly before we started recording, I was telling you that so many people not in their own business, not knowing how to look on brand, and the importance of looking on brand, in particularly in today’s social media climate… atmosphere. As we are on Facebook and I have said this to people who listen to me regularly and read what I write, it’s our social media image is just like our magazine cover shot, it is the instant thing that somebody sees and want to buy into you or not, you need to look on brand, that doesn’t mean you need to look fake or funny, but when you look at someone you want to say ‘See is the essence of what she is talking about, she looks believable, she looks relevant”, and you also want to look aspirational in a sense to someone else. 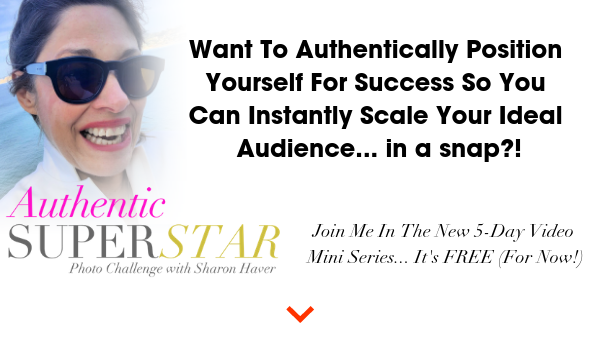 I think also as a publicist, you actually should… that is a big difference between me and a lot of publicists now, I think you have to remember that you are hired to put your client as a star, you are not the star. As a publicist you should learn or relearn modesty and stop putting selffies everywhere about you, it’s about your client that is what you are paid for, your client doesn’t care that you are in an article wherever, it is about them, and I think a lot of the publicists lately that I have seen are blurring the lines as they are looking for the attention instead of being in the shadows, we have been in the shadows for so long and you do it for your brand, that you need exposure to build your business, where is the line? But you still need to look like your image, you still need to look someone who looks the part, and I know for me… I have reinvented my career millions of times through the years and I never… before the word reinvention became a buzzword, its when I was a stylist for 15 years I was on photo shoots and I was the ones behind the scenes making the model look gorgeous, I was the one behind the scene making sure that everything was right on brand and that you wanted to buy into it and when I started focusonstyle.com back in 1999, it was more of a magazine and it wasn’t about me. Of course I was in charge of it but it wasn’t my face all over it, as the climate has changed the design changed and it is more about me working with clients as well, working directly, it is more about me standing up there as a brand and my image is out there, my videos and this podcast and for me at first it was very scary to make the transition, my background, my degree is in marketing, my first job, I wanted to be in PR, every time a publicist makes demands like you were saying, like to has to be a 2 page write up on a press junket or something. er that you had a … you once turned down a client because she didn’t look like her brand, do you want to tell us a little bit about that? It was a man, it was a man, its really interesting as I learned a lot form it, European men and European men are less tolerant than American me, it is very interesting and when they have an idea to look, they want that, and I was not that, because I never was that. It was a very tough lesson because you are thinking I got rejected because I was not the ideal Barbie doll that publicist have, well I have blond hair, fake blond hair with extension, I don’t have the fake lashes, I don’t know, I realized that is the danger of social media today. People judge so fast on the image that you can project on social media that they don’t give you a chance, they don’t give you a chance to hear, they don’t give you a chance to know fi you are the right person for the product line. I realized that … I treat it like a love affair, great okay, so maybe I don’t have the size of breasts that they want, I have an amazing behind, he just needs to have some time to learn and to know my behind, so that is what I am doing lately, I am going to establish a connection of talking, emailing, starting to know each other, having the potential client who is actually not looking at me, not seeing me, and then meeting them when I know there is a connection, at least then we don’t waste our time. Exactly and that’s fine, but you still look like someone who is professional who has a body of knowledge behind you who is chic, who walks into a room and commands presence and I think that is the most important thing for anyone to walk… no matter why. In that particular case, I also look the part as a woman who is not going to say Yes…Yes to everything. That might be your biggest problem, you are not going to go “That is so wonderful”, of course… but what I think what happens with a lot of women is, they see those bimbo images and they see the hair extensions and the false eye lashes and the heavy foundation and lipstick, and they think that if they put on a glamorous look and create this lifestyle shoot of themselves set up in this way they just look so aspirational and they are always eating a macaroons and green juices which is like, they don’t go together. There is always a macaroon and a green juice and a coffee cup with lipstick on it, as far as I know a coffee cup with lipstick on it looks tacky, but anyway they have this fake aura and it is offensive. The fact of the matter is … if you go to a stereotype and you have enough money, let’s not forget there is also money involved, if you go to a stereotype who is probably a great publicist, doing great reports and blah blah blah, and it’s great because you have to have a lot of money because she has a lot of expensive ideas on the other hand. If you want to work with a client who has a smaller brand and therefore don’t have the budget that they have, so you need to be more creative and therefore have more profanities. When you came here, you said you can tell us a little bit about your immigrant story and part of it is perseverance and there is personality, but how did you start out as being a nice little girl from France in the United States? It is really funny, I came in 1989, I was 19 years old, I basically came on a challenge from my dad, who… it was my second year of college and that particular college was offering a year in New York, it was just a year at this point and I was okay, I will try it. I was never interested… it is very interesting as I was never interested in the States when I was younger, it was for me it was something very far away with capitalism, it was industry all, but there was no glamour, I was not interested by it, I would rather go to London, Spain or Italy, but as a challenge, you won’t be able to make it. Watch me! So imagine at 19 years old arriving at 1989 in Manhattan it was a different world, my first class at school was, we were 25 French, it was not if you are going to get mugged, it is when you are going to get mugged, you have to put $20 in one pocket and the rest of the money in another one, when you are going to get mugged you give the $20 and you run, that was my first class. It has changed, imagine a little Parisian girl from a bourgeois family arriving in that jungle, I thought I was in a candy store, I was finally… at that time there was no care about social classes like there is now, you could have a trash bag on your head and people were not… didn’t look at you, didn’t care, when you were going to trendy restaurants… of course there was an Upper East Side rich person, but there was also an artist at the table, there was a mix that you didn’t see in Paris, because Paris had … Paris and still has so much social class and it is divided by class, I didn’t see that I was a little bourgeois, I didn’t see that, so for me New York was so incredible with so much creativity and freedom and freedom, I didn’t see in Paris or I didn’t have in Paris at the time. So I came to study first in English, as I didn’t know how to speak English, then I just fell in love, I fell in love with New York, not a man, I had men, at the time but New York, New York was special and no matter what, even though it is much more sanitized nowadays they still had that energy that nowhere else in the world maybe Hong Kong but it’s incredible New York is unique, and of course when you are 19 years old and an immigrant you want to be here. It was not that easy because of the immigration process, it was very difficult and takes a long time, so I went through difficulties in the American dream… the story because I was here and I was working and then I was not working, then I had to go back to France, but I didn’t want to go back to France, I went back to France, after 6 months in Paris I was 25, I need to go back to the States, I was engaged, not in love but I choose to come back and then there was more engagements but I didn’t have the working paper and to find a job without the working paper… it was so tough. Every company was addressing … the laurel, the Lauder, they all say no, they just wanted a Green Card holder, which I understand now, at the time I was not happy. Someone gave me a chance, a small PR company, gave me a chance, she gave me a chance, and it was incredible, nowadays she would probably go to jail. So from there, how long did it take for you to start your own agency? So basically what happened… she was very small and she didn’t have that much money, so we had a deal where she would pay me a commission on a client that I would bring, at the time I was out and about every night, I knew everyone in New York, I thought that was no problem, I can bring clients, it’s that easy. Then I realized it was one thing to dance on the table with these people and other thing to say to say let’s sign a contract together and have great PR, it took me a while but I was lucky enough to have a friend who was lending me an apartment on Park Avenue, it was really funny as I had zero money to pay the maid but I had a full bedroom on Park Avenue. That is so French from that time that is what I love about it, yeah. I had a few girlfriends like you at that time. It was a time you know, it was a time, at any case at one point… I don’t have this apartment anymore for tons of reasons and I go to see my boss, I really need to make money, as I don’t have a place, she gave me a really good deal for me at the time, she said “there is a bed where the fax machine is, a military bed, you can sleep there, that will be your salary”, I was well, I have a choice it was that or the park, Central Park, and the funny thing you are going to love that one, our office was above Mortimer restaurant, do you remember Mortimer restaurant? Yes, very Upper East Side. Very Upper East Side, the number of stories that I have there is not even funny, it was very colorful for sure and I signed up my first client, my first client was just $1000 it was a small client, I went to her, I said “Do you mind if I keep the money?” I needed to have money, she was okay with it… honestly she was an amazing woman and then I got a second client, I don’t know when I turned the table as I say I was not good at business, I basically started a beauty division in her company which was not at all beauty and I gave her, I started to give her a commission on the clients that I was bringing instead of doing the contrary, since I was really bad at math’s, bad at math, I was giving her 40% commission, I know it is a lot, it was way too much and still sleeping on the military bed. Then one day… actually a friend of mine said, “Listen they have lots to do on 61st that you get, it’s like $800”. I was like wow. With that it could be the commission that I am paying to my former boss at the time, so basically I started my own business just because I wanted to have a king size bed. So now you have come a way since then. I have a reputation and a husband. Do they have king sized beds in Paris, they usually don’t because t here is not that much room. No they have a small bed, and when I was a student, I was in the maid room, under the roof, so it was very tiny. For me I needed to have a king sized bed, it was a label of success, I was alive. For you it was a king sized bed, for me it was a washer and dryer when I met my husband when we were dating, oh my god you have a washer dryer, this was like love. I get it… I get it, the little things that make living is so important. Hey excuse me, let me jump in for a second, we are sharing a lot of amazing things today, but you know there is more. 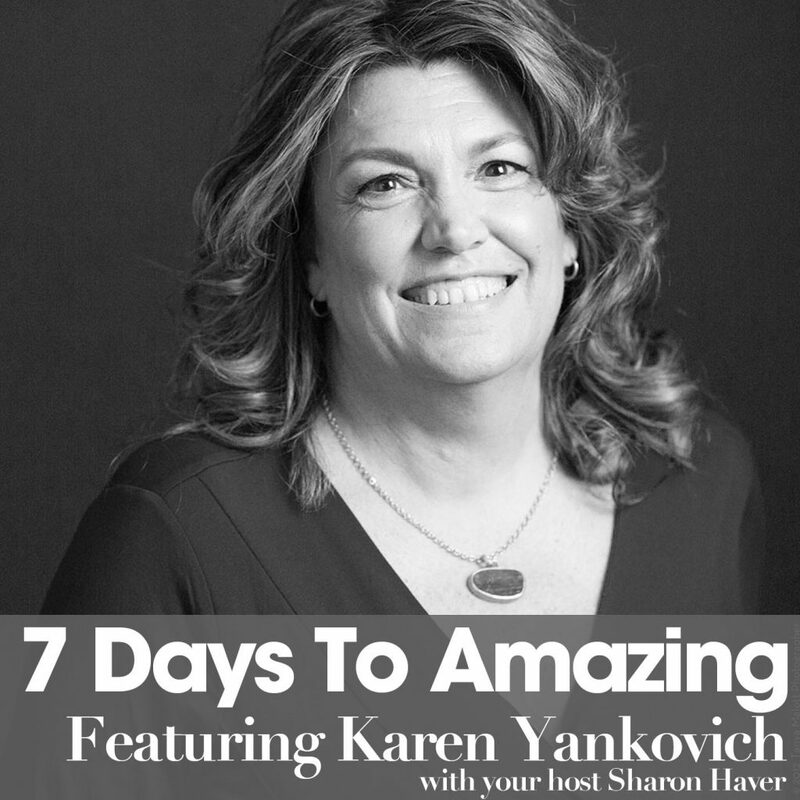 It’s your time to be the best at being you, thanks for letting me jump in, back to the episode. So anyway, as we are coming to end of the… I wanted to wrap it up with a few things, one of the… I would like people to understand a little bit more of how the type of clients you have today and how you spend your day and how you can help promote them and also as far as French beauty for people who are stymied on how to get the look, if you want to give us a couple takeaway tips on how you can be more amazing in your life and business in the next week, the French way? I think be happy with yourself and I do want to say that in the blah blah way, be happy with yourself and make a couple of things that make you happy, for me it would be putting on a mask, a beauty mask or running a bath, I love baths, we are lucky in New York we have this small bath tub, the thing that makes you drive to be an expert in my business is obviously having a meaningful event or meaningful project that will make a difference in people’s life, one other thing… I remember one day Anita said to me, I wish I could read a letter from one of your products that I feature and she said that it changed her life because her life was a disaster and now she is using it and it changed her life. For me that made everything, it makes sense and it makes me happy to make people happy, so I think that is very important, there is another thing that is important for us working so hard woman, we need to escape, you need to have an escape in your mind, even if you can’t escape physically, you need to escape. I have to confess one of my biggest past times is I trawl the internet to see the next island, the next country, the next hotel that I might never go, but the mental escape that it gives me. I do that too I do that too. 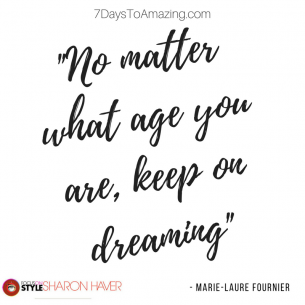 I think a way it is keep on dreaming, keep on dreaming, it doesn’t matter what age you are, keep on dreaming. I know it gives you…its like the cheapest way to really, when your day is miserable and you are horrible, it’s the cheapest way to escape, I always say it would probably be a great business if someone would take … make some, it probably is as I never research it, have like these beautiful videos of a street scene in Paris, sitting having coffee at a Piazza in Rome, in Bali at a beach, whatever it is, you could put it behind you or around you where you work, instead of looking at a cubicle, instead of looking outside of the window, you can have this live cam of where you would rather be. Like your window on the world. Also do you know what can really improve your week or really make a difference in a week, change fragrance. Change your fragrance, change your fragrance, a scent is so linked to memory, linked to sensation, that if you change your fragrance you will think that you are opening a new chapter in your life and that has an endless possibility. Just incredible, so what is your favorite scent this week? I am … okay I am old fashioned, I am not old, but I am old fashioned with my fragrance, I absolutely love Krigler Pleasure Gardenia, I don’t know if you know Krigler it is sold exclusively, very upscale it has a lot of history, Pleasure Gardenia was created in 1879 and was the first female fragrance that Coco Chanel wore, she didn’t have a brand at the time. She was wearing that one, it is an amazing fragrance, it’s a fragrance that defines time obviously, this is my fragrance right now. I like really niche fragrance, remember I like people who have the craftsmanship of doing things, I love people who have fashion, I don’t think there is in my industry… the beauty industry between the love that people create in a formulation and the perfumers for me they are the most passionate, clearly interesting people. No it is true, it’s true, and it’s just also… my husband hates fragrance, so I have actually stopped wearing it, I know he is like “I don’t like that smell”, no matter what it is, whenever I go out with my girlfriends, I mean I still have my favorite bottles and I still alternate what I love, but I remember… especially when I had my newspaper column and I had to write, whenever I had to write something I had to give ten examples of the similar product so that people wouldn’t think I was on the take, you can have that flow, and that one and that one and that one, and what happened was, I hated fragrance more than anything as my living room would smell like a bordello, all these boxes of fragrance would come in, I started a pet peeve for it back then and I still have it now and I think people don’t realize is, when you are wearing fragrance, a lot of the cheap ones that you can get in a drug store, they have such a fake manufactured smell, it’s like when you have those cheap scented candles, it is just awful, I think people don’t know the difference as they don’t know better, as they haven’t smelled something, and more of an artisan type fragrance where it is a big company that still keeps their artisan aesthetic in how they produce things, or if it is small. There is such a difference people in just smelling some of these really special fragrances, it doesn’t have that chlorine horrible arrgghhh scent that leaves you and it doesn’t take over a room. Actually one of my pet peeves. You can really smell the scent if a fragrance has been created with a soul and wanted to create a creation or just want it to be a marketing tool, you can smell it, just the scent. And the thing that is also interesting about it, when someone is wearing one of those scents that was created as a marketing tool, it is so obvious, and especially the ones … you know some celebrity fragrance of the week kind of thing, it also leaves besides… it imprints a message about the person wearing it. That they want to be that. They are that created, that they like that, that they are attracted to that, so it kinds of puts you on a different level, it is interesting as it does have so many connotations to it beyond the actual smell. Did you notice that there are less and less celebrity fragrance coming out? Yes, and is there a reason? Yes more makeup, more and more makeup you know, celebrity makeup but less and less fragrance I am not sure why actually, it is very interesting. I think it is probably because of something like Instagram because on Instagram you can see them putting on the makeup and you can’t smell them. You could smell their greed; you can’t smell their fragrance. You are right, I didn’t think about that, absolutely. It is so visual, for me I just see all these tell tale signs about things and people and I see that and especially when it is your own business that you represent yourself as your brand, It is something to think about, all these subtle signals. What something sends out to the outside world that takes away from people getting to know you. You are right, and thinking about people, you were asking me earlier, what is the best advice that I have ever had and it’s a friend of mine who was working for Francois Pinot and he was working for the holding of Francois Pinot, Francois Pinot said to him, the people that are applauding you going up are the same ones that will be laughing at you going down, and I never forgot that. And he did pretty well for himself. I think so, I am like ha, then you definitely need to have a smile and be nice to everyone, and I think that is super important, if I want to rock it business wise, it’s don’t forget who you are and don’t forget where you come from and don’t forget to be nice to everyone, very important. Very important and so many people in PR aren’t nice. That could be the takeaway on this, drop the attitude girlfriend, you know what we all put our pants on one leg at a time, yeah the Brooklyn girl is making a couple of good ones on that but I will leave the French, take away from the Vogue and leave the French sort of neatness in the end of this one, so drop the attitude girlfriend sis a peachy way of saying it. And change fragrance, and wear deodorant too. Wear a fragrance because you are covering it up, that is the other one. One of my friends that used to go out, eh is a royal actually, he used to go out and he would meet these other royals and these girls have so much attitude, they go out and they would be dancing in their Balenciaga dresses and they would raise their arms and it would be the big purposeful bush under their arms, they would never use deodorant and they would have this great fragrance on because it was their way of saying FU, I can have all that attitude so it yes, don’t cover it up honey no one is too big for attitude. So anyway so thank you so much and I actually like the quote that your father said about you, ‘You have to look at yourself every morning and be proud’, I think that is … that kind of sums it up. I have to tell you, my father is 74 years old I think now, he is still goes to Parliament to Brussels, he is part of the lobbying in Brussels now, and he fights Monsanto products, they come to Europe every time, he still has the passion and still has the fight, he is an example. I think a glowing example, as once you lose that passion, you lose everything, you lose hope, I think at least for me being passionate in what you do just keeps you going. You never lose it, even at 74 years old. Yeah never, all right my darling, this has been wonderful. You know I only have 6 months of 4th grade French, so I can’t… whatever I butcher I am sorry. And I probably know more of the 6 months of 4th grade French than I know of 8 years of Spanish, which is even more sad. So anyway it is a beautiful language and it is a beautiful country and it is such a different way of looking at the world, especially for Americans and the fact that you and your business is able to bridge the gap and be able to bring that je ne sais quoi, bring that passion to what you do in your business, your personality and the clients that you work with, we are Americans you know, we are always going to be Americans here, opening yourself up to that… opening yourself up to the world, it is so important people, it is not everything that you see in your back yard, it is whatever the world has there. It is also… the thing that makes French culture so wonderful is that it is not trendy, there is a classic tone to it, that is what keeps it timeless, chic and beautiful. Look at Armis; during the crisis it was the only luxury company that was making more money than anyone else, because it was simply chic. Absolutely, and we can also go on a whole thing about girls running round in their Chanel bags. That is another conversation for other things, my god I don’t know how many girls in New York with the same bag. If I have one piece of advice, I am not a fashion, but just this one Chanel necklace, don’t put ten, just one is enough. And don’t wear the earrings with the big C’s, what is that. How are they back? how are they back? I love when people does these lifestyle-branding shoots and they have their Hermes blanket draped on their couch and they have Chanel bag half open, Chanel lipstick next to them, it just Oh my God, people chose one, I love expensive things but they are not paying you to advertise for them. Yes chic is less and chic is quiet. Thank you my darling, we could just keep going on for hours on this. Before we go, how can people find you online to connect with you? They can follow me on Instagram, I love my Instagram, FournierPR, it is easy. At Instagram, okay and then you will get your website, your contact, if anyone wants to meet… talk to you about business, everything you can find through her Instagram, so thank you, thank you so much for being here, it was wonderful. 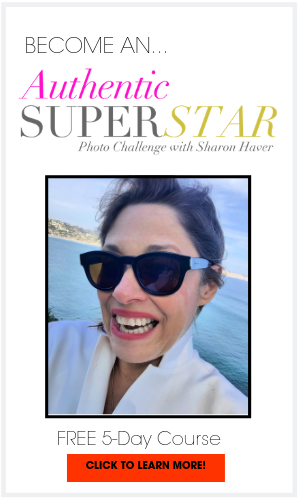 Not only will you get only get instant access to the Star Power Flash kit, curated to help you and your business get out there but as an insider you will also receive exclusive bonuses, amazing content and access to special events that Sharon only shares by email.